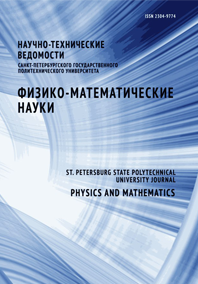 Panov Dmitrii O. Ris Vladimir V. Smirnov Evgeny M.
The paper covers LES-WALE and IDDES data obtained with ANSYS Fluent 16.2 for turbulent flow in a strongly curved U-duct of square section (RCL/Dh = 0.65). Results of comparative computations performed with two approaches for Re = 40000 are in a good agreement. For validation study at a higher Reynolds number, Re = 100000, performed under conditions of the well known tests (Cheah et al, 1996; Iacovides et al, 1998), the IDDES approach is used as a resource-saving one. Parametric computations cover analysis of inlet boundary layer thickness on the flow field. The mean velocity field computed is in a satisfactory agreement with the experimental data, and the calculated pressure losses coincide completely with the measured one. The main cause of remaining discrepancies between the calculated and measured velocity field data lies in impossibility to achieve a full accordance of a computational task setting to the test conditions, namely in the part concerning accordance of inlet conditions.